The 15 kV burn unit T 22 / 13 B is a very powerful high voltage burn unit for system integration, but also available as portable stand-alone unit. 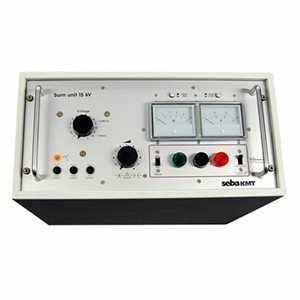 The high output power and the short circuit proof construction permit in almost all situations the easy conversion of high resistive and intermittent faults into low resistive faults. The resonance burning technology allows a comparatively smaller but very powerful burn unit.